David Gallo shows jaw-dropping footage of amazing sea creatures, including a color-shifting cuttlefish, a perfectly camouflaged octopus, and a Times Square’s worth of neon light displays from fish who live in the blackest depths of the ocean. This short talk celebrates the pioneering work of ocean explorers like Edith Widder and Roger Hanlon. 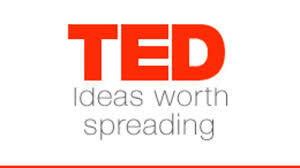 Here is a direct link to all of these TED Talks.